For weeks, the rumors had been circulating. Patrick Cannon was looking for a graceful way out of the mayor's race after struggling to line up the money and support he needed. The official reason he gave for ending his campaign last Wednesday was the deaths of two relatives and the need to refocus on his family. But political insiders say there's more to the story. 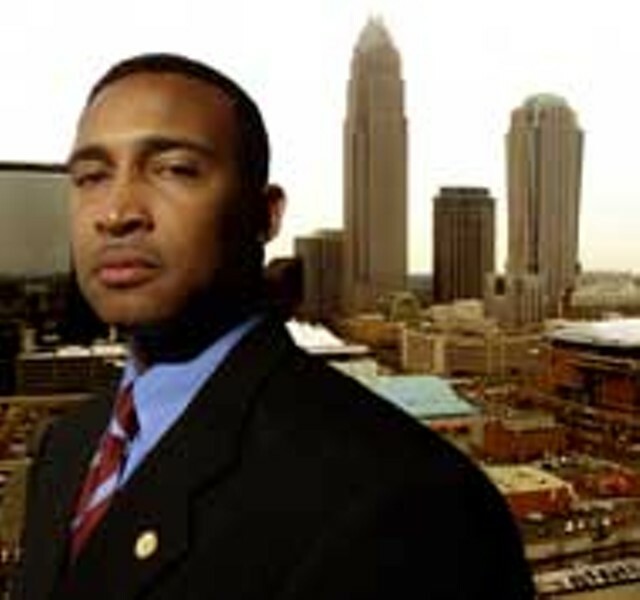 The political bridges Cannon burned in his decade on the Charlotte City Council came back to haunt him, many say, and a split he had helped widen in the fractured black political community probably finished off his short-lived mayoral run. The damage was bigger than just Cannon's career, which he may have also ended last week when he announced he also wouldn't be running for City Council again this fall. Cannon's candidacy was perhaps the best shot the local Democratic Party has had to take out Mayor Pat McCrory in a decade, said party strategist Dan McCorkle. It was heartbreaking for many that racial politics in the party's African-American faction could have contributed to the downfall of one of the city's most promising politicians at a time when the mayor's office was within the party's grasp. A decade ago, African-Americans made up a quarter of Charlotte's electorate. Today, they make up a third, a fact that should have put Cannon, a popular six-term City Council member who is African-American, within striking distance of the mayor's office if the black community unified around his candidacy and he raised enough money to run a credible campaign. Instead, the opposite happened. Some members of the city's black leadership unified around Cannon, while others sat back, refusing to do anything that would either help or hurt his campaign. In off-the-record conversations with Creative Loafing, it became clear that some African-American leaders, though officially neutral, weren't exactly rooting for Cannon. Meanwhile, some say the so-called uptown crowd was also gunning for Cannon. Many of the city's elite check writers had long believed he had helped mobilize the black community against the 2001 arena referendum, a charge he has always denied. The referendum went down in flames at the polls, causing no small amount of embarrassment to the city elites who backed it. All over town, checkbooks of prominent people on both sides of the aisle snapped shut when Cannon announced he was running for mayor. The problems that would eventually hamstring Cannon's campaign started in 1999, when young African-American upstart Malcolm Graham won a district seat on City Council. Unlike Cannon, who had paid his dues and been pulled up through the ranks by the African-American community's old political guard, Graham won his seat by defeating a member of that old guard.Like Cannon, Graham had mayoral ambitions and might one day even like to take a crack at winning the congressional seat held by Mel Watt in largely African-American Congressional District 12. The two men were almost bound to clash, and quickly did. The split between the old guard, which had always dictated its will through the Charlotte-Mecklenburg Black Political Caucus, and a newer guard, consisting largely of those who had crossed the old guard, was already in place when the feud between Graham and Cannon began. The battle between the two merely exacerbated the growing rift. When Graham voted to abolish a contracting program that favored minorities — after the city attorney advised it was unconstitutional and could result in a costly court battle the city would ultimately lose — Cannon and other old guarders like City Councilman James Mitchell used the vote to isolate Graham, who spent months repairing the damage within the black community. The animosity between the two eventually grew to the point that Graham and Cannon could no longer work together on council, say some who know or have worked with them. Graham decided to run for the state legislature last year, in part, sources say, to escape that tension, although Graham wouldn't comment on this when Creative Loafing asked him about it for this story. Others say Graham left the council because the direct route to the mayor's office was blocked by Cannon, who had performed well in the 2003 at-large council race, coming in just two votes behind first-place winner and potential Republican mayoral candidate Pat Mumford. Whatever the case, the gentlemanly thing to do would have been to let Graham step aside gracefully. Instead, Cannon, Mitchell and some other old guarders such as former Caucus chairman Eric Douglas worked against Graham in a move many saw as an attempt to finish off a political rival. It didn't help matters that Graham's opponent, longtime state legislator Fountain Odom, was white and that 60 percent of the voters in the primary were black. The county's African-American ministers, whose informal, behind-the-pulpit influence is often critical, backed Graham, who clobbered his opponent 63 percent to 37 percent in the newly created district. The Black Political Caucus, which once was dominated by the old guarders, also backed Graham. It was a stunning defeat for those who had worked to kill off Graham, and it caused bitter feelings that would come back to haunt Cannon in his short-lived mayoral run. "It hurt the (Democratic) Party and it hurt black politics," said Graham. When Cannon declared his mayoral intentions, he didn't realize how extensive the damage to his reputation had been. "I think he underestimated how some people felt about that and a lot of other things," says one African-American political observer. For the record, others downplayed the significance of the battle between Graham and Cannon. "I know there were some hard feelings between them and during Graham's (state senate) campaign there was tension, but I thought they fixed that and shook hands," said Mitchell. "I thought that was over with." Meanwhile, in the white community, hangover from the 2001 arena referendum crash was causing fundraising problems for the campaign, observers say. The way they tell it, supporters of the arena referendum had depended heavily on the support of the black community to pass the referendum, as is often the case with referenda and bond issues.In the months leading up to the hastily concocted referendum, Cannon had pushed for affordable housing bonds to share the arena ballot. He got the support of the Charlotte Chamber, but in the end the bonds didn't make the cut, which angered him. At the same time, the council's lack of enthusiasm for mandating a "living wage" for its employees didn't go over so well in the black community, either. A few weeks before the election, a poll showed a large percentage of African-Americans supported the arena, but by the Sunday before the vote, many African-American ministers had reversed their positions on the arena referendum. Volunteers who were supposed to work the polls in black precincts decided to stay home. The reasons black leaders and ministers gave for their opposition were the living wage and the ditching of Cannon's affordable housing bonds, which eventually passed in a later election. Because of the affordable housing issue in particular, and because credible members of the black political establishment still credit Cannon and City Council member Susan Burgess for a behind-the-scenes campaign to take down the referendum, some say resentment toward Cannon has smoldered in elite circles. Of course, those who defend him point to the fact that Cannon had little trouble raising well over $100,000 in his last at-large council campaign, saying that is evidence there's no bad blood between Cannon and the city's power brokers. But Stan Campbell, a former Republican City Council member and unacknowledged political hit man for the city's moneyed power class, says there's a big difference between running in a four-way race and a two-way race. "That's when you really find out who your friends are," Campbell said. "You could find out that you don't have as many as you thought you did." In a four-way race, people donate to their third or fourth choice for office if they think they'll win and want to curry favor. But that doesn't necessarily mean that they like or support those candidates, Campbell explained, or that they wouldn't jump at the chance to take them out later if they became vulnerable to loss. Given the city's voter registration, it is virtually guaranteed that an African-American politician will win an at-large seat. Cannon's race and his popularity insulated him from the uptown crowd's retribution for a long time.The shock of Cannon's abandonment by some well-heeled white Democratic donors who could always be counted on for a check left some of the party's white grassroots activists reeling. Perhaps they should have seen it coming. The invitation for McCrory's April 13 fundraiser should have hit the politically attuned like a punch between the eyes. The invitation listed the names of 71 Charlotte power brokers, including some prominent Democrats, as sponsors. For many of these folks, writing a check to a campaign, or even both campaigns in a race, is typical and means little. For them to sign on as sponsors of McCrory's event is a rare statement of commitment. For them to do it when McCrory still hadn't made a final decision about running could be interpreted only one way: It was a near lock-step rejection of Cannon. Cannon's campaign manager, Jennifer Gullette, denies her boss was facing insurmountable fundraising obstacles and attributes his slow start to personal problems. "I think the momentum had slowed down for the last couple weeks because Patrick had a lot on his plate," said Gullette. "His mind seemed to be elsewhere and that did get frustrating to folks. I think that's because Patrick was struggling with so much. Obviously there is quite a bit going on in his personal life." Personal obstacles aside, it's still not clear that fundraising was going well for the campaign in Charlotte. Two out of the three fundraisers Cannon was planning were to be held out of town, in Atlanta and Florida, Mitchell says. Either way, most observers now see Cannon's political career as dead in the water, a hard and fast fall for a man who just months ago was believed by many to be one of the city's most promising politicians.